Can you believe that we are already heading into May?! My, how the time flies when you’re busy capping! And if you’re looking for some new caps next month, you’re in luck, because the May Flat Friends schedule is ready to go! Flat Friends April 2019 Schedule Is Here! 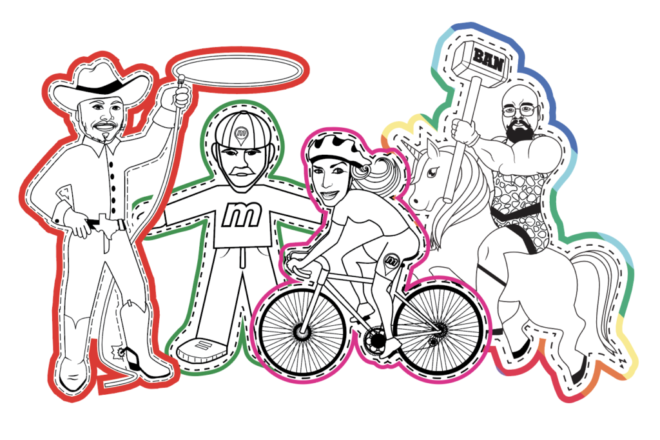 Flat Lous will be on the map ALL MONTH to celebrate all of the special April events worldwide! Get ready to mark your calendars, because the March Flat Friends schedules are here, and there’s some extra fun to be had this month! All Flat Lous will be worth double points on March 8th for International Women’s Day, and all Flat Robs will be worth double points on March 10th in honor of Rob’s birthday! Happy hunting! It’s time for the February Flat Friends schedules! This might be the shortest month of the year, but it doesn’t have to limit your opportunities to cap munzees. That just means you’ll have to get out there and do some extra work! Happy Hunting! Double points on February 15th for all activity on Flat Matts for his birthday! 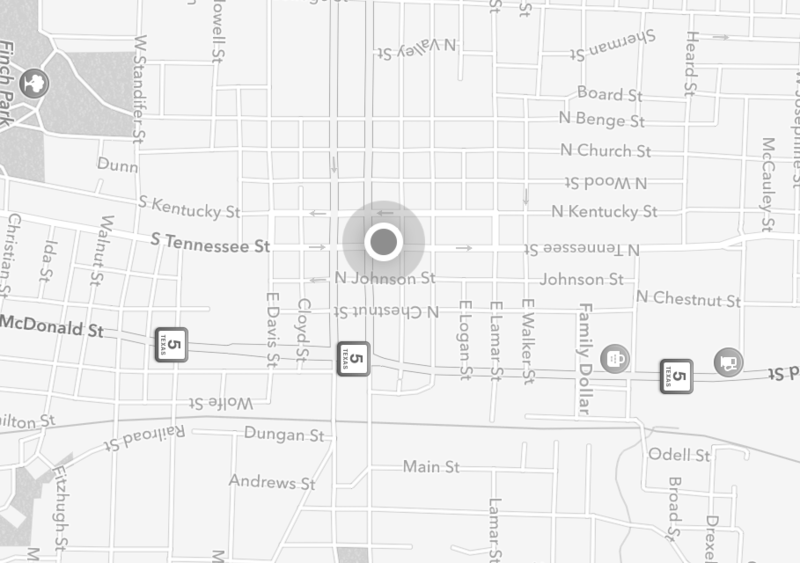 Don’t Get Caught Flat-Footed with the new Flat Nomad Munzee! Tomorrow is 2x points on Nomads and RetireMyths for those that purchased Advent Calendars. We have another surprise launching on that special day for everyone! 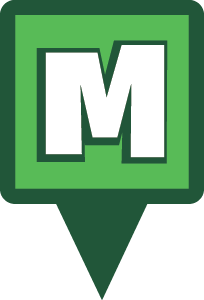 We’re excited to announce the new Virtual Flat Nomad Munzee! Beginning Wednesday, December 12th at 00:01 MHQ 10 Virtual Flat Nomads will start bouncing on Flat Friends Munzees every 12 hours or when captured. Like other Nomads, you will earn 500 points for capturing a Flat Nomad and the owner of the host Flat Munzee will earn 250 points. These captures will also count toward the Nomad Munzee Badge Line. What Does It Do: Bounces on all types of Flat Friends Munzees every 12 hours or when capped. Better your chances at capping a Flat Nomad by deploying a Flat Rob, Flat Matt, Flat Lou or Flat Hammock near you! All four Flat Friends are now available in the Freeze Tag Online Store. We hope you enjoy this new Nomad! Gallop away with Flat Hammock! The Flat Friends are about to make a new pal! Flat Rob, Flat Matt, and Flat Lou will have to watch their gameplay, because the ban hammer is knocking- welcome the all new Flat Hammock! This new game piece is based on the one-man wrecking crew Daniel Hammock, who has been running Munzee Support for 5 years. No one at MHQ can think of a time when they’ve actually called him Daniel, or Danny as his family calls him. He’s always affectionately been known as Hammock. Although he started off as a player, in Hammock’s own words, his “dream came true” when he was given “the opportunity of a lifetime” to work for Munzee. Even before officially joining MHQ, Hammock always took it upon himself to help out the Munzee community with any and all issues that would arise. He is best known within the community for swinging the ban hammer, punishing all those who break the code of conduct. To those who know him well he’s a fluffy unicorn of a guy who is very kind and giving. In his free time he enjoys taking his family out for crazy Youtube adventures for the Munzee Monthly Giveaway and giving away prizes each month for players to enjoy. He’s also an avid fan of unicorns, if the Flat Hammock design didn’t make that very apparent. The first Flat Hammock has been released as a permanent special in Gettysburg, PA. Players will normally be able to purchase their own Flat Hammocks in the Freeze Tag Online Store for $4. In celebration of our new Flat Friend though all Flat Munzees will be discounted! Remember that Flat Friends are not always on sale, so stock up while you can! Players with a Premium Membership will also receive one free Flat Hammock as well. Like the other Flat Friends, Flat Hammock has a unique release schedule. Hammock may love working for Munzee, but he keeps busy with a variety of other jobs as well. 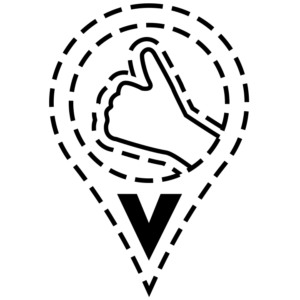 Like other Flats he will choose when Flat Hammocks are available on the map, which will be during his working hours, major event seasons and more. Please note that all scheduled times are based on MHQ time and are subject to change. Since we’re in the middle of Halloween events though, all Flat Friends are on the map until the end of the month and Flat Hammock will join in the fun too! Cap/CapOn – Split 80 points with a minimum of 10 points. Flat Hammocks’ proximity is not affected by other munzees except other Flats. Flat Hammocks must be 50ft from other players’ deploys and 150ft from your own deploys. You’ll also be able to earn a variety of badges for capturing and deploying Flat Hammocks. STOP! Hammer Time: Capture 1 Flat Hammock. Munzee Light Crew: Capture 250 Flat Hammocks. The Great Outdoors: Capture 1,000 Flat Hammocks. Unicorn Wrangler: Capture 5,000 Flat Hammocks. Don’t forget about DOUBLE POINT FLAT FRIENDS WEEKEND! On Friday we challenged our players to attend events and capture event pins, and they successfully completed the challenge! There will be double points on all Flat Friends captures and deploys beginning October 26 at 00:01 until October 28 at 23:59. That’s MH-BOO Bash weekend too, so if you’re looking for somewhere to deploy why not check out McKinney, TX! The calendar is also full of events all month long! Thank you all for your support of the Support Man himself. Our Flat Friends line of munzees would not be possible without the enthusiasm of our players. Of course a huge THANK YOU to Hammock for his dedication to this game. 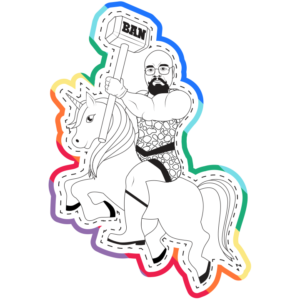 So beware the ban hammer, hug Hammock when you meet him and Munzee On! Surprise! We’re getting an early start on next month by releasing the October Flat Friends schedule today! You’ll find the individual dates for each Flat Friend below, but in celebration of our spooky Halloween events all Flats will be on the map from October 12th through the 31st. We can’t wait to have a scary good time with you all at these events and don’t forget MH-BOO Bash will be the last weekend of October! Thursday, October 4th at 00:01 MHQ time until Sunday, October 7th at 23:59 MHQ time- Rob’s 5 year anniversary as President! Friday, October 12th at 00:01 MHQ time through Wednesday, October 31st at 23:59 MHQ time- Halloween Events! Don’t forget 15,000 pirate special icon captures will trigger a double points weekend for all activity on these Flats! More information will be available IF the community reaches the goal. Just over 50% of the way there with just over 3 days to go! But first some information about Real Louise and Flat Lou! Flat Lou has not been sold for the month of August while we worked out a change to where our donation will be directed due to a special event! From August 29 through September 5 each Flat Lou sold will include a donation of $0.25 to The Motor Neurone Disease Association (MNDA). We’ve donated to *MNDA in the past and due to the special circumstances of this upcoming weekend we are excited to donate to them again. You can purchase Flat Lous in the Freeze Tag Online Store HERE. Be on the lookout for double points on all Flat Lou activity August 31 through September 3. 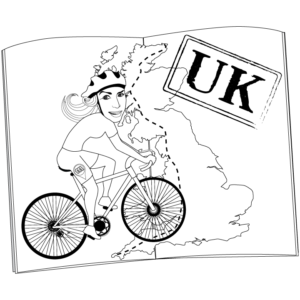 She is representing Great Britain at the Gran Fondo World Championships in Italy on Sunday. Her race begins at 8am and is 135 km long and 1950 m of elevation gain. It will be a tough day for her, but we know she can do it! Good luck Lou! Here is the Flat Friends schedule for September! MND is a fatal, rapidly progressing disease that affects the brain and spinal cord. It attacks the nerves that control movement so muscles no longer work. MND does not usually affect the senses such as sight, sound, feeling etc. It can leave people locked in a failing body, unable to move, talk and eventually breathe. It affects people from all communities. It kills around 30% of people within a year of diagnosis, and 50% within 21 months. A person’s lifetime risk of developing MND is up to 1 in 300. Six people per day are diagnosed with MND in the UK. It affects up to 5,000 adults in the UK at any one time. It has no cure. The MND Association was founded in 1979 by a group of volunteers with experience of living with, or caring for, someone with MND. Since then, we have grown significantly, with an ever-increasing community of volunteers, supporters and staff, all sharing the same goal – to support people with MND and everyone who cares for them, both now and in the future. We improve care and support for people with MND, their families and carers. We fund and promote research that leads to new understanding and treatments and brings us closer to a cure for MND. We campaign and raise awareness so the needs of people with MND, and everyone who cares for them, are recognised and addressed by wider society. New Personal Tags and More! It’s Father’s Day weekend in some parts of the world (including the US), and we’re kicking it off with some new Munzee store items any Dad would be happy to receive! First off, we’re excited to announce that we’ve added new Personal Tags to the Online Store! 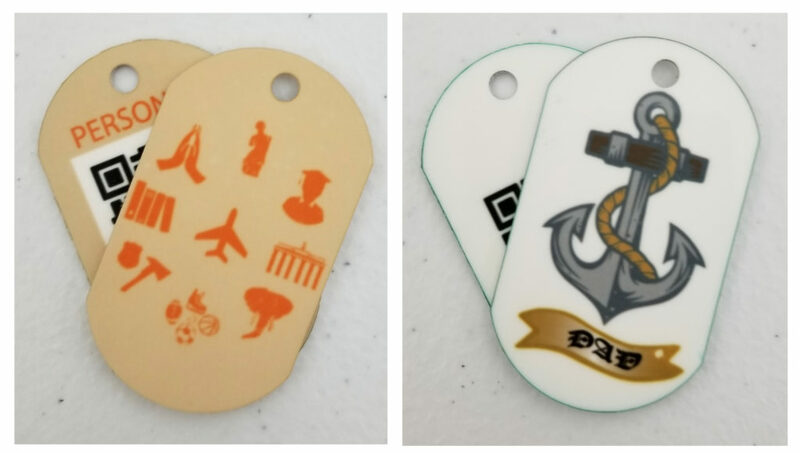 While supplies last you can purchase two new Personal Tag designs, one featuring Places Munzee icons and another featuring a Father’s Day design, similar to the Mother’s Day tags we released last month. These are printed on aluminum dog tags, and are available now for $10 each. Remember there is a very limited quantity of these personals, so you can only purchase one of each design per account. Get Your Personal Tags HERE. What do unicorns call their father? “Pop” corn. Get it? Classic Dad Joke. We also have a new variety of “Myth Crossing” game pieces that are sure to keep your local Animal Control officers guessing. This fun play off of traditional animal crossing signs is sure to be a hoot for all fans of Dad Jokes. 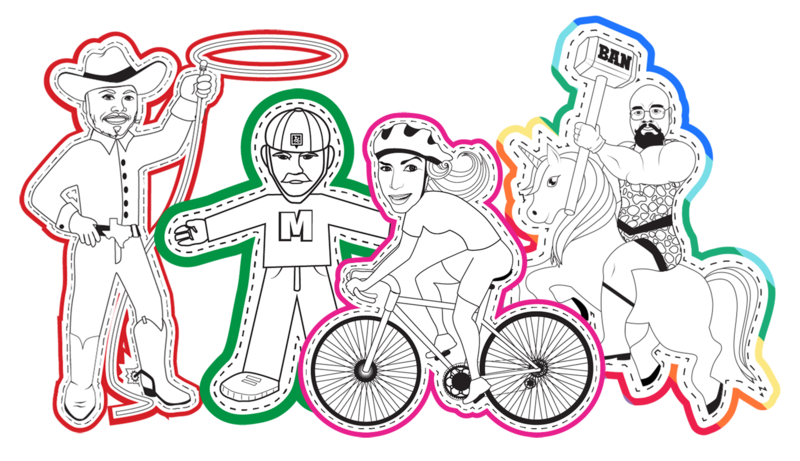 We have a limited supply of each 3 inch sticker featuring the original Mythological Munzees. Get your Myth Crossing stickers HERE. What do fathers want more than neckties, joke books and personal tags? Flat Friends of course! Since Flat Robs, Flat Matts, and Flat Lous are all active this weekend we’ve decided to put them all for sale this weekend too! 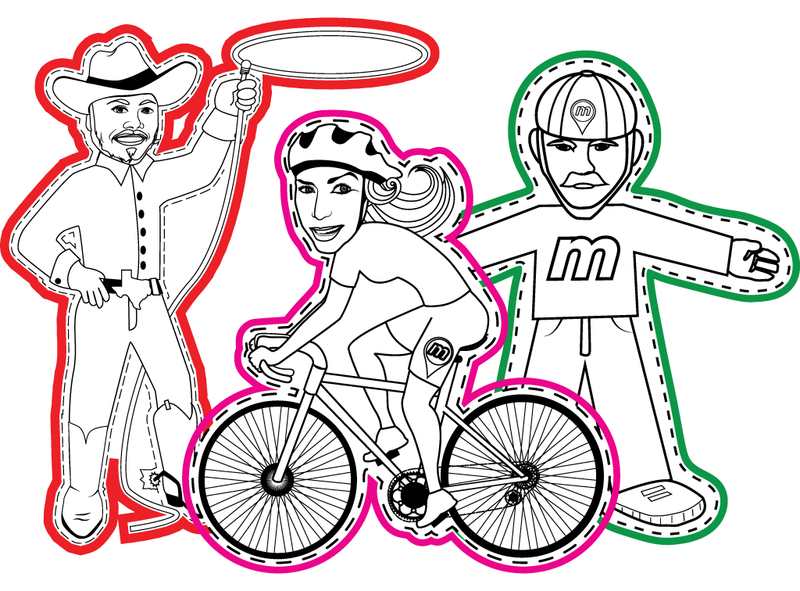 All three Flat Friends will go on sale Friday morning and will be available until Monday at 10:00 MHQ time. This is a great time to get them on the map since they will be active ALL MONTH LONG in JULY! Celebrate Dads worldwide by adventuring outdoors and maybe playing some Munzee too! Good luck and Munzee On! We just wanted to remind you that Rob and Louise will be attending two events this weekend in the UK (this one and this one)! They will also be taking a trip to cap the newest Emerald Garden in Richmond Park on Friday. There are still plenty of Emerald Pins available in the Freeze Tag Online Store and time to get one before they get capped! 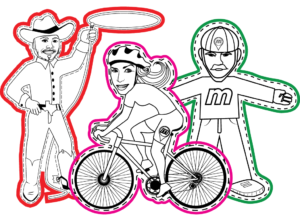 There is also a growing number of Flat Lous in the area, so make sure to add your own. Flat Robs and Flat Lous are both currently active on the map and Flat Matt will be active on Saturday! We hope you’re having a great week, and we look forward to announcing some fun new things soon!